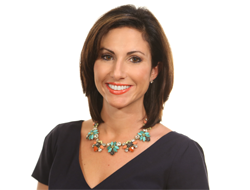 BETHLEHEM, Pa. - Sept. 29, 2015 - PRLog -- On Saturday, October 3, Ashley Russo, Emmy® winning executive producer and host of The PEAK TV, will serve as emcee for Lehigh University’s Community Celebration Breakfast. The event will take place in the Tamerler Courtyard, (at the entrance area of Zoellner Arts Center) beginning at 8:30 AM. The morning program will include a welcome by Lehigh University’s new President, John D. Simon, comments by Bethlehem Mayor, Robert Donchez, a time capsule dedication, recognition of Lehigh University’s Southside neighbors, and much more. The Community Celebration Breakfast is part of the Lehigh University’s Sesquicentennial Block pARTy a festival a century and a half in the making. Lehigh@150 will feature four days of events to honor the past, present and future of Lehigh University. All friends of Lehigh—students, faculty, staff, alumni and community members—are encouraged to attend the celebration, which will take place October 1st through 4th. Ashley Russo is a two time Emmy® award winning executive producer and president of ASR Media Productions. Ms. Russo also hosts The PEAK TV, an ASR Media production featuring health, wellness, lifestyle, and community stories that airs every Sunday on WFMZ - Channel 69. Russo has been awarded two Mid-Atlantic Emmys®, receiving a statue in 2013 and 2015; she has earned five nominations over the past three years. Ms. Russo was honored as a Lehigh Valley Business Forty Under 40 in 2015, named one of the publications 25 Women of Influence in 2014, and chosen as a 2013 Woman of Style by Lehigh Valley Style. Russo’s commitment to the community is evidenced by her active involvement as a board member of United Way of the Greater Lehigh Valley, the Greater Lehigh Valley Chamber of Commerce Non-Profit and Business Partners Council, Wildlands Conservancy, The Auxiliary of St. Luke’s Hospital, One Saturday Program, as well as a committee member for Lehigh Valley Food and Wine Festival benefiting Northampton Community College, and Equi-librium Derby Day.